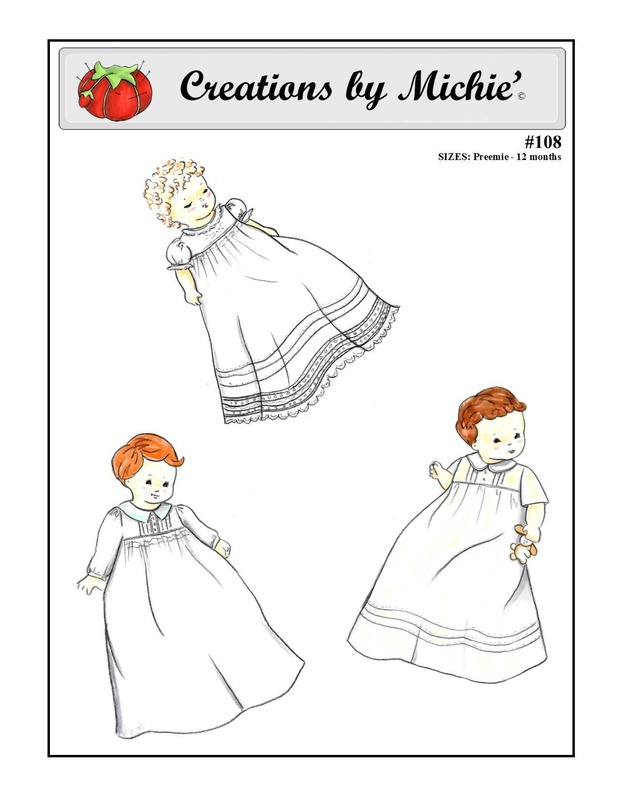 The Infant gown may be smocked or gathered to the yoke, with a choice of two collar styles or a simple band. 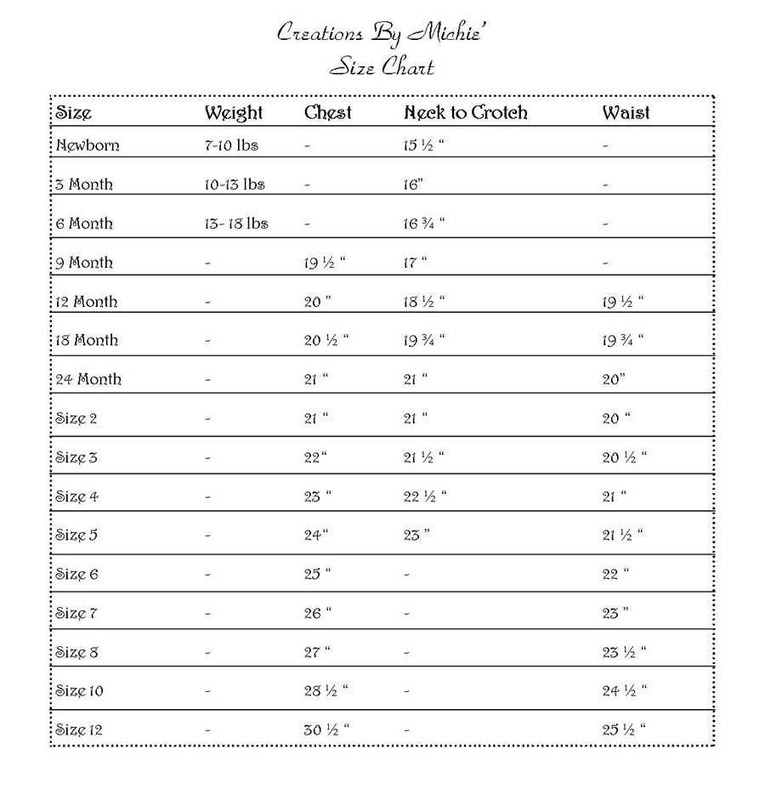 The pattern includes a tailored style or heirloom style with laces and trims. 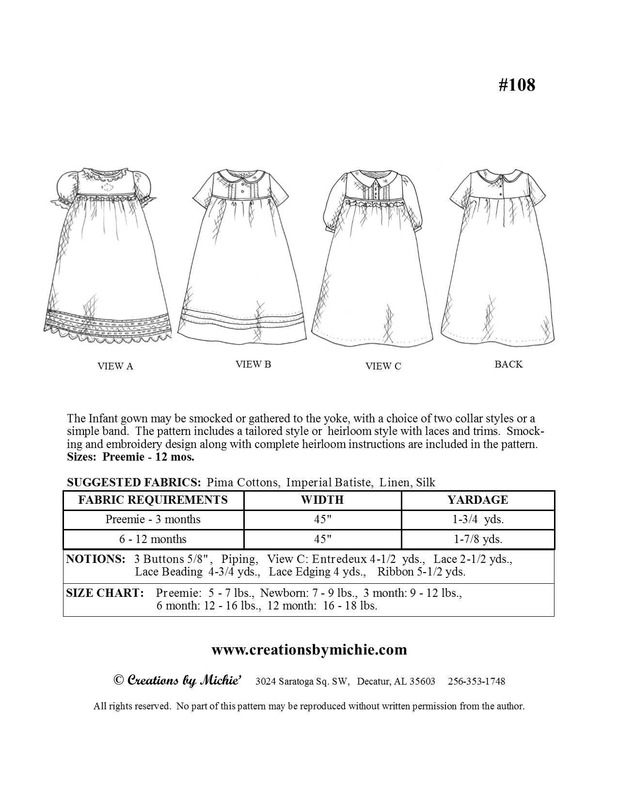 Smocking and embroidery design along with complete heirloom instructions are included in the pattern. Smocking and embroidery designs included. Love this pattern sewed up beautifully! Shipped quickly, as described, perfect for my needs.